Digger's brave, I've have ran away! I'm running a thread on the new Comic Book Hour Forums for Superhero Webcomics. Please join in if you create or read one. 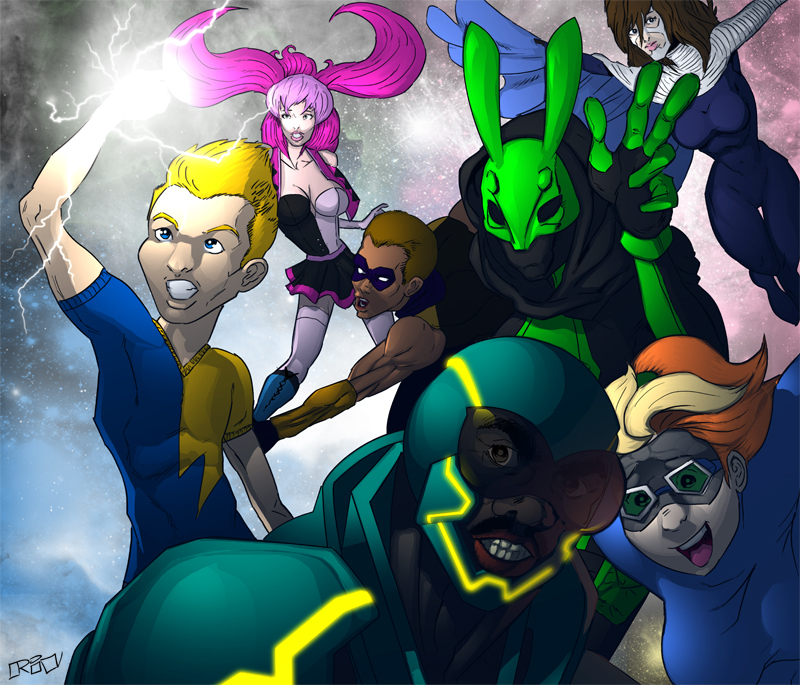 This is a promo poster of a few of the OCs that inhabit the world of Superhero Webcomics! Time for a test of strength. D'oh, I should have been all Mortal Kombat and said "Test Your Might!" instead!